Adam Lambert IG: "..Back w @officalqueenmusic @ Belfast's SSE Arena! Last time was 2011.. EMA's!.." PLUS EMA VIDEO! @adamlambert: "Saw this on the wall on our way in! Back w @officialqueenmusic at Belfast’s SSE Arena ! Last time was 2011 for the EMAs! 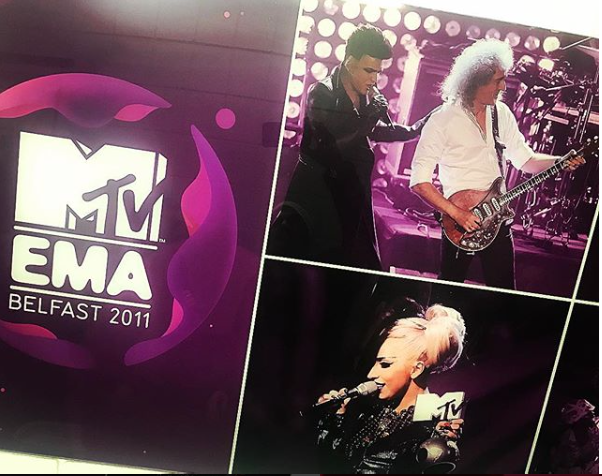 #mtvema #qal"
"When the 2011 EMAs ended with a salute to Freddie Mercury (as Queen were honored with the Global Icon Award), Brian May and Roger Taylor reunited with a special surprise guest: yes, Adam Lambert, doing Freddie proud and delivering one of the best vocals of his career. Adam and Queen blasted through a medley of "The Show Must Go On," "We Will Rock You," and "We Are the Champions"... and it was a performance of champions, indeed. Many European viewers were unfamiliar with the American Idol alum, but were understandably wowed and eager to see more. Suddenly and unsurprisingly, there was demand for a new Queen world tour..."
HD Adam Lambert with QUEEN Medley MTV EMA 2011 Belfast 11-6-11. from GlamNika81 on Vimeo. I'm in love with Adam's 2011 performance in Belfast. How anyone could hear this performance and NOT become an Adam fan is beyond my comprehension. Wonderful, I thought this video was gone forever..... but it is found on VIMEO!...hurray! However, THIS video, though the same one, is a bit foggy and the sound is not as crystal clear. Maybe that's caused by many recopies being done. Adam and Queen were superb together...even on that first outing. 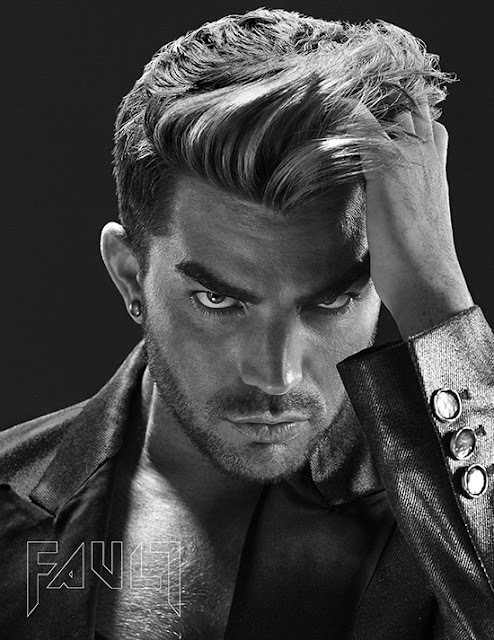 After that, there could have been NO doubt that Adam could sing the Queen repertroire...and do it justice! But today, Adam has outpaced that early promise many times over! He is SO seasoned now, SO Queen....SO perfect in that role! I knew it was going to be a concert to remember when I realized it was the same arena that ADAM first appeared on stage with QUEEN!! 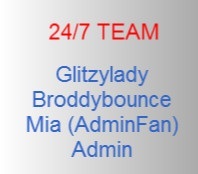 I wish I could have stayed at the streaming site but once again RL stepped in & I had to miss it!! Thank goodness for videos!! Well .. I'll try again tomorrow at the Liverpool stream!! I hope! !